The COMPUTER BASED EXAMIANTION for the post of Upper Division Clerk (UDC) for different Regions in ESIC was held on 18th, 19th, 21st & 27th March, 2016. The result for the post of UDC in ESIC could not processed due to some administrative reasons as already communicated vide Notices dated: 17.08.2016, 24.11.2016 and 09.01.2017. The result for the post of UDC is under process and will be declared shortly by the concerned Appointing Authorities of ESIC which had issued the Notification/Advertisement of Vacancies. Before finalization of results for the post of UDC, a link is provided to all the candidates (along with this Notice on ESIC website – www.esic.nic.in ) who had appeared in the Computer Based Examination for the post of UDC in ESIC to view their Scores and other particulars. The candidates are advised to check their Score in the Computer Based Exam. and their particulars before finalization of results. Discrepancy, if any, in the candidate particulars may be intimated alongwith their Application Reference Number, Roll Number, Name etc. 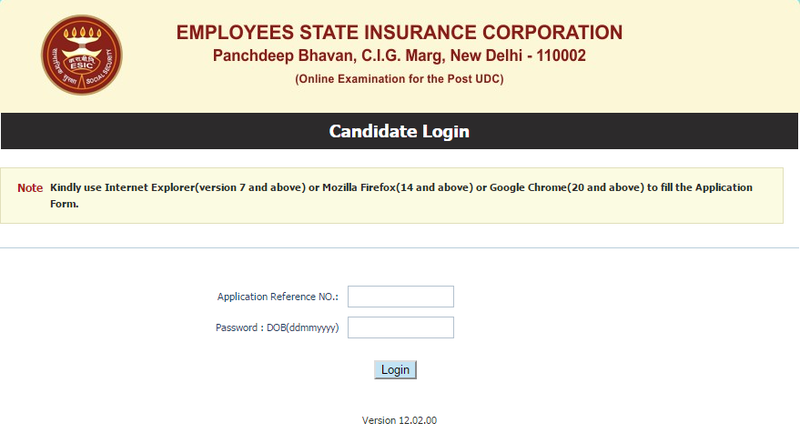 to the concerned Office of ESIC for which the candidate had applied.